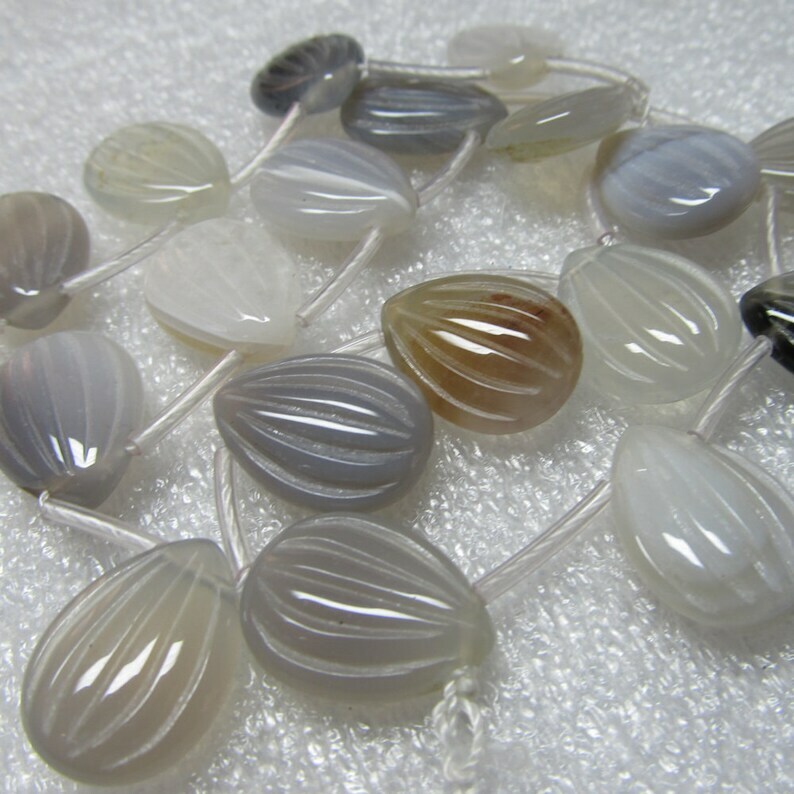 This listing is for 10 natural hand carved gray agate beads. They are 20 x 15mm brilliant puffed agate gemstone teardrop beads that are top side drilled. Their colors vary from almost clear to shades of grays. Please don't hesitate to convo me if you need more than what is listed or if you have any questions! Love these beads. I bought them for the special project. One was practically black and damaged. Owner refunded my account - thank you! Mother of Pearl Beads 14 X 10mm Lustrous MOP Fuchsia Pink Smooth Teardrops - 6 Pcs.